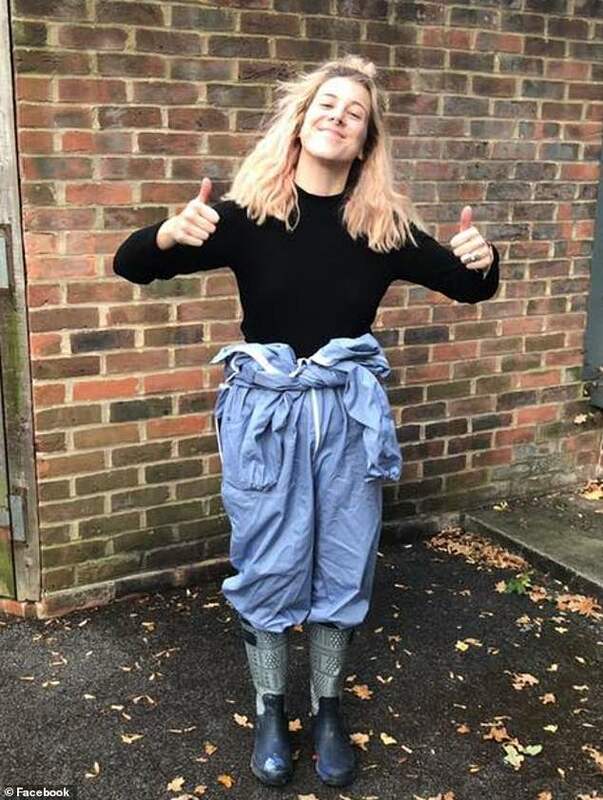 While Emily Dawes, the president of the students’ union at Southampton University, was mobilising the full weight of her intellect against a First World War mural she had not the wit to understand, the Coroner’s Court in Newcastle was considering an altogether less noble, but equally senseless, young death. It concerned Ed Farmer, a 20-year-old student and a member of the Newcastle University Agricultural Society. He died, horribly, of cardiac arrest having drunk roughly 27 vodka shots as part of an initiation ceremony. Farmer was taken to hospital at 5am the following day. By that time, his head had been partly shaved, he was soaking wet and stained from soil. Had he not been comatose and dying in the hallway of a student house for round two of the initiation, he would have been made to crawl through sheep pens and drink from a pig’s head by older boys wearing masks. The coroner, Karen Dilks, called for students to be given compulsory training on the dangers of binge drinking and initiations: the universities’ dirty little secret. 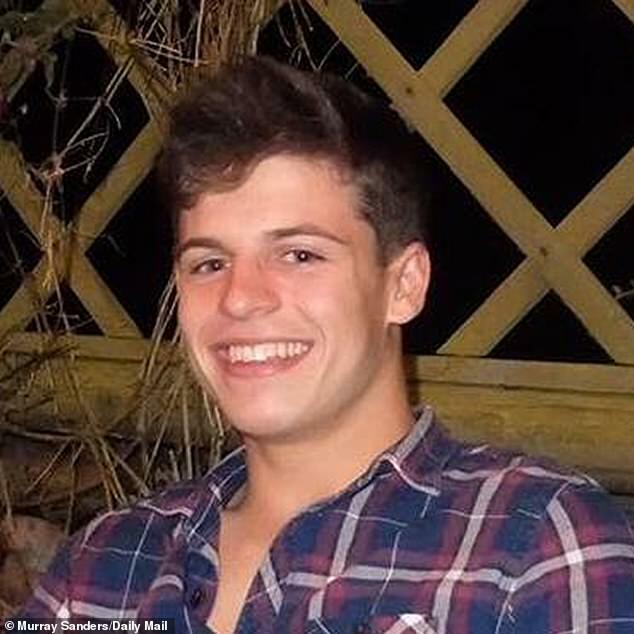 It was 2006 when Gavin Britton, a student at the University of Exeter, died of alcohol poisoning as part of an initiation for its Golf Society. America, where hazing rituals have been part of college life for decades, lose on average one student each year. We live in a world of excess where drinking and eating challenges do huge business online, so do not expect this to remain an isolated affair. Initiations are part of a university fresher’s introduction to campus, particularly if he or she wants to play sport. Don’t think it is different for girls. Several years ago, making the netball team at Nottingham University entailed a team bonding session that went by the name of Ladies and the Tramps. The older girls were the ladies, long dresses, long gloves, maybe a tiara. The freshers were the tramps. They were ordered not to wear make-up and dressed in bin liners. Dirt was smeared on their faces, dog food rubbed in their hair. This is where the complicity of student unions comes in. This wasn’t a private ceremony. Very public humiliation is common in initiations. So the tramps were brought into town, to a very popular student nightclub, where they would be seen by many peers. Are we pretending the students’ union wouldn’t know of this, or couldn’t find out? Student unions, like the universities, make a big play of standing against initiations, while in reality doing little to stop them. It is only when a session goes tragically wrong, as in Newcastle, that there are repercussions. Even then, Ed Farmer’s family reserved their stinging criticism for Newcastle University in failing to address the obscenity of initiations. 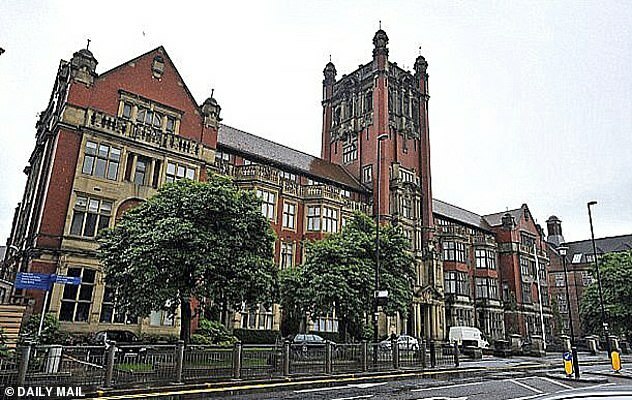 ‘We heard how initiations have been going on at Newcastle University for 30 to 40 years, despite such events being banned by the university and the students’ union,’ said Farmer’s father, Jeremy. That’s a very long time to fail to get to grips with a problem. That this hearing was taking place at the same time as the controversy around a mural at Southampton University shows the foolishness of those who presume to take a lead in education. Emily Dawes, an astrophysics student currently on sabbatical, took issue with a mural in the university’s Senate room. ‘Mark my words, we’re taking down the mural of white men in the uni Senate room — even if I have to paint over it myself,’ she tweeted. What she had failed to understand, or not been curious enough to find out — hardly the best trait in an astrophysicist — was that the mural commemorated students who had given their lives in the First World War. It showed a degree being conferred on an ‘unknown soldier’ — one this faceless member of the fallen would never receive. Behind was a queue of students waiting to receive their imagined honour. Yes, they were white and male. But so were the overwhelming majority of British students lost in the First World War. Naturally, Dawes was made aware of the crassness of her comments and retreated. But her initial stance highlights the problem. Student bodies scoring half-baked political points, rather than protecting student welfare. Instead of no-platforming controversial voices or pontificating about statues, shouldn’t they be on the lookout for members of their community having 27 vodka shots rammed down their throats; or entering a club stinking of dog food? Sports should be worried, too. Rugby union alone lost 10,000 school-leavers last year, and the laddish culture — from binge drinking to rugger-bugger behaviour, including initiations — is frequently cited as the catalyst for giving up the sport. Apple-bobbing with dead rats? Manchester University’s initiation apparently. What if you just want a game of rugby? What if you want to be called by your name, rather than the dehumanising ‘fresher’. Initiations are commonplace in sporting environments, even professional ones. Standing on a chair self-consciously singing Bohemian Rhapsody proves you are willing to give of yourself for the team. Some football clubs even post clips of these ordeals on social media. They are embarrassing, but fun. No-one gets hurt, no-one dies, and everyone goes through them. You’re all in it together. And that’s the difference. If going to town in a bin-liner actually made you better at netball, then go to town in a bin-liner, and good luck. But if only the youngest, least experienced and most vulnerable members have to do it, then that’s just bullying by another name. It is nothing to do with team spirit, merely a power trip for creeps. The fact the student unions and universities turn a blind eye makes creeps of them, too. Lionel Messi was missing for Barcelona on Sunday, so Luis Suarez knew what to do. His hat-trick in a 5-1 defeat of Real Madrid was the perfect riposte to those who claim Barcelona rely on one man. Philippe Coutinho, who opened the scoring on 11 minutes, was equally defiant. Meanwhile, at Real Madrid, we are still waiting for those we were told were unfairly sacrificed to Cristiano Ronaldo’s enormous ego to fill the void of his departure. Gareth Bale and Karim Benzema have not scored in La Liga since September 1 and having won a single game in the last seven — and that against Viktoria Plzen of Poland — new manager Julen Lopetegui has been sacked. 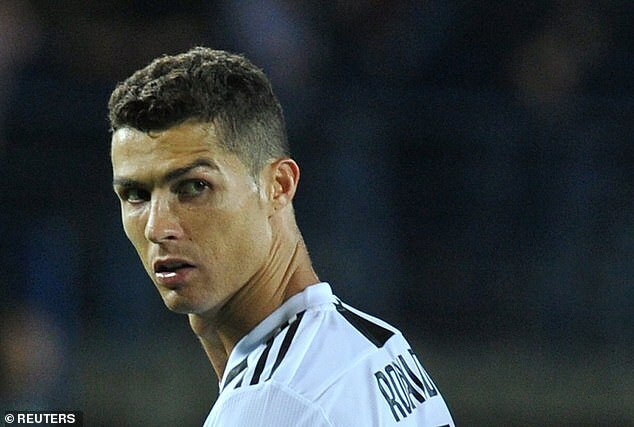 Maybe Ronaldo was not holding back his team-mates after all. Who knows what he might have won, had he been in Suarez’s team? Paul Pogba’s penalty run-up is very much like Trigger’s everlasting broom — ‘17 new heads and 14 new handles’ — or Spinal Tap’s amps that went to 11, because it was ‘one louder’. It’s a phenomenon the protagonist imbues with excessive significance. Jordan Pickford, Everton’s goalkeeper, gave the game away. The first 20 steps or so do not matter. It’s what Pogba does in the final two or three that provides a tell. All the time he is pitter-pattering towards the ball, the goalkeeper can relax, as long as he stays focused for that final flourish. Pickford did, and Pogba’s penalty was poor. Too near the goalkeeper and at a lovely height to make a save. He just got lucky that the ball came off Pickford’s hand and returned to his feet to score the rebound. So Manchester United got away with it, but not for much longer. 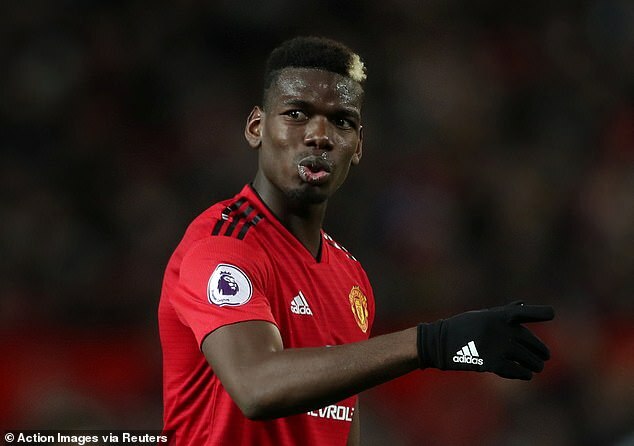 Goalkeepers are getting wise to Pogba, and referees will not be giving the benefit of the doubt to Anthony Martial any more, after his dive to win the penalty off a fair tackle by Idrissa Gueye. Martial is in outstanding form for United, but this was a huge mistake. Once it has been noted that a player cheated, referees close ranks against him. The best team in baseball is coming to London next summer. 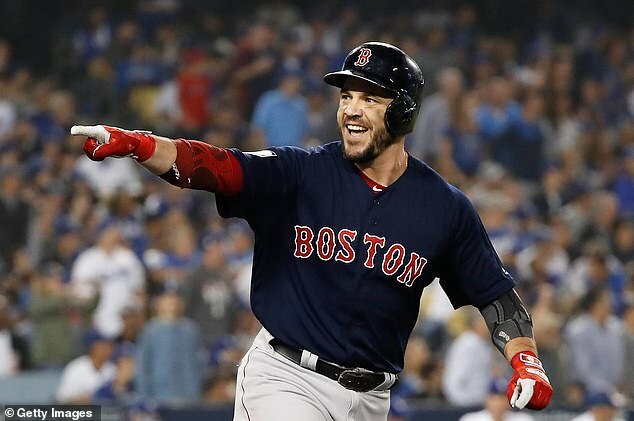 Boston Red Sox completed a 4-1 World Series win over Los Angeles Dodgers on Sunday night, to record their fourth title in 15 years. On June 29 and 30 next year, they will play New York Yankees in two bona fide MLB American League games, at the London Stadium. It is very exciting. Would you pay a ball-park £11.3million for it, though? Probably not. In which case, that’s unfortunate, because E20 — the London Stadium landlords — have revealed that a full West Stand move will be needed to accommodate baseball at the venue. The West Stand conversion is the one that costs serious money. A revised, smaller switch weighs in at £4.1m. But when the West Stand needs to be pushed back, the middle-tier seats must be taken out, requiring cranes and heavy machinery, and the price skyrockets. The last time this happened was for the World Athletics Championships in 2017, at a cost of £11.3m. Even if E20 somehow managed to get the job done for 20 per cent less this time, it would still come out at over £9m. And all this for what is, basically, a vanity project for Sadiq Khan, the London Mayor. It is Khan who has told the London Stadium landlords he wants West Ham brought to their knees over their annual rent — but he thinks nothing of saddling the arena with a potential £11.3m bill for two nights of baseball. The reconfiguration is not just costly, but lengthy. It remains to be seen whether baseball’s arrival leaves room for any concerts next summer. At the moment, forthcoming events for the stadium show nothing but West Ham and two pricey MLB fixtures. ‘Tickets for the games are going to be like gold dust because you are not just going to be seeing the two best baseball teams in the world, but arguably the two best sporting teams in the world,’ Khan said at the event’s launch in May, a statement that may come as a surprise to many of the athletic institutions in the city he represents. Certainly to the one he wishes to squeeze to subsidise his dalliance with a sport that is barely a presence in the consciousness of Londoners. Karren Brady, West Ham’s vice-chairman, had it right when she told the London Assembly that the refits for athletics were what drained the venue of all value. Baseball is no different. And while those of us who love the sport are delighted MLB is coming to town, it is ludicrous to pretend West Ham’s rent causes a loss, while sanctioning £11.3m refits for niche sports each summer. Jonjo Shelvey knows what could have made the difference for England at the World Cup this summer. Him. Yet if Shelvey has the range capable of winning a World Cup semi-final, why hasn’t it been capable of winning games against Cardiff, Crystal Palace, Leicester, Brighton and Southampton this season — all opponents he has faced for Newcastle, and failed to overcome. Anyone can win games in their head. 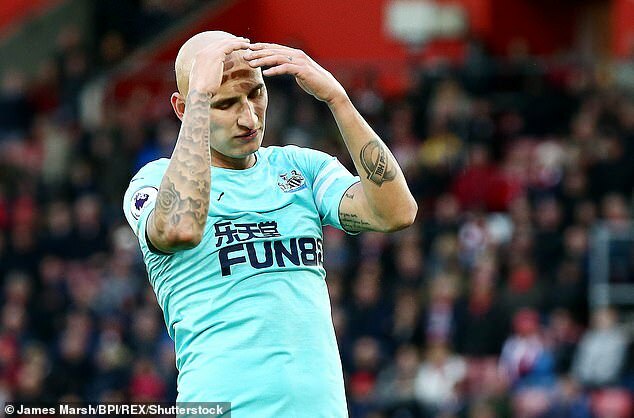 Newcastle need players who can do so in actuality: and while this dismal run continues, Shelvey’s case for international recognition remains flimsy. Proposals to ban substitutions in injury time over-react to a small problem. Yes, some changes are made to take time from the game, but others are necessary. Most second-half additional periods are around four minutes in length. A lot can happen in four minutes — ask Bayern Munich. It seems perfectly reasonable that a manager might wish to introduce an extra defensive body if his penalty area is being peppered by opponents chasing a late goal. Equally, injuries can occur at any time. With, say, five minutes added a team could be reduced to 10 and greatly weakened by a foul tackle. Why should they be further punished in such circumstances? Far more reasonable is the idea that a substituted player should have to leave the field at the nearest point of exit. No more slow walks towards a bench from 50 yards away. Speeds the game up, and better for injuries, too. There really is no reason it couldn’t happen from next season. What is the downside? 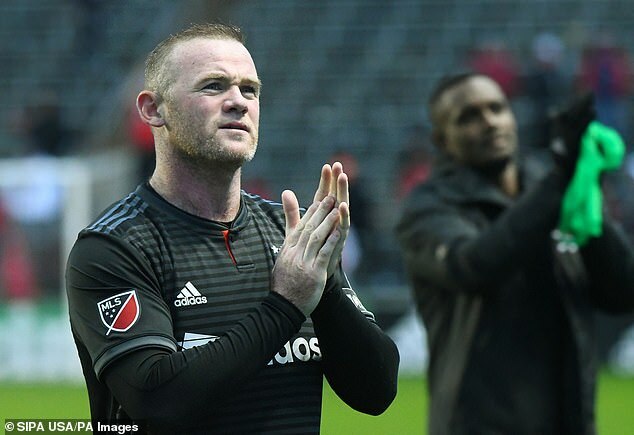 A goalless draw with Chicago Fire sent Wayne Rooney and DC United into Major League Soccer’s play-offs on Sunday. They will play Columbus Crew this Thursday in an Eastern Conference knockout game. Rooney’s record is remarkable. In 20 appearances, he has scored 12 goals and delivered six assists, propelling his team up the table. DC United were bottom when he arrived mid-season, albeit with a number of games in hand; they finished fourth. It does not, however, say much for a league that the introduction of one world-class player in the twilight of his career makes such an impact. Claims championing the growing excellence of MLS are rather unconvincing. 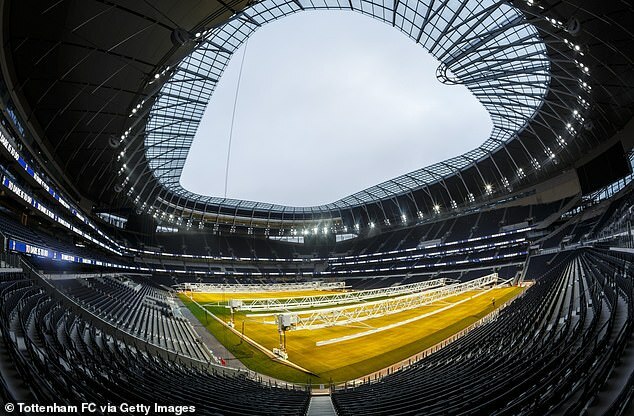 Early this season, when there was still talk of Tottenham being in their new stadium for the match with Liverpool on September 15, I was told they would not be in before January. Now Tottenham have pushed their arrival back to January, the same voices are saying it won’t happen in the 2018-19 campaign and Tottenham will not return to White Hart Lane until the start of next season. The remaining fixtures will be played at Wembley and meetings have already been held to this affect. Tottenham are always very bullish about when the stadium will be ready and I would expect them to maintain that January is the date. But we’ll see.